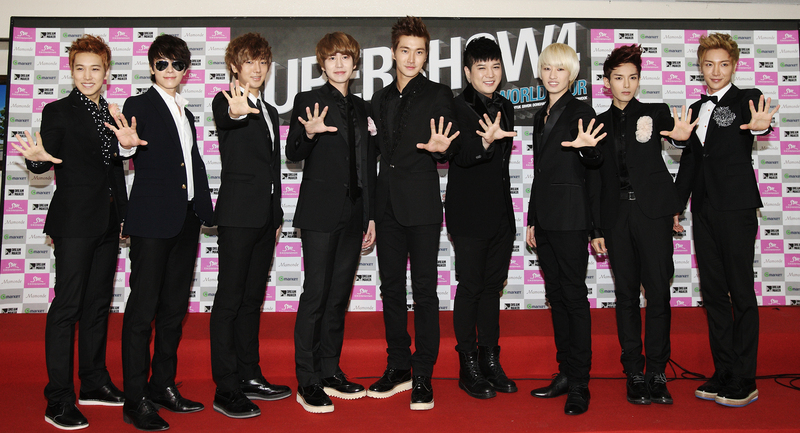 Suju fans alert: The K-pop superboyband will perform in Singapore on 18 February, instead of on the 17th as originally planned. According to a press release sent by concert organisers Running Into The Sun and Conceptual, the delay is due to the hectic schedules of Suju. Says Creative Director of Running Into The Sun Beatrice Chia: "As everyone knows, Super Junior's touring schedule is formidable. With the slight change in schedules, we hope this is a blessing for fans as the show is now on a Saturday." The group, which is down to nine members after one of them enlisted for national service, last played in Singapore earlier this year in January. Then, they played to over 10,000 fans over two sold-out nights. Next year's concert, which is again expected to be a sell-out, will be held at the Indoor Stadium. Chia-Richmond said, "We've witnessed the massive appeal of Super Junior when they were here for Super Show 3 earlier this year; and how it broke all barriers to attract fans across all age groups. The boy band recently kicked off their Super Show 4 World Tour in Seoul this weekend and if that is any indication of what their Singapore gig will be like, their armies of screaming teen fans are sure in for a treat. In Seoul, the boys played from a set list of over 40 songs in a 4-hour concert extravanganza punctuated by their trademark tight choreography, a dazzling light-and-laser production and a 360-degree stage set-up that will allow them to come up close -- real close -- to their fans. Launch of ticket sales will start early January 2012, with further details to be announced shortly.